Our most recent email marketing campaign featured our d400 stand mock-ups and there was a great response to the visuals. 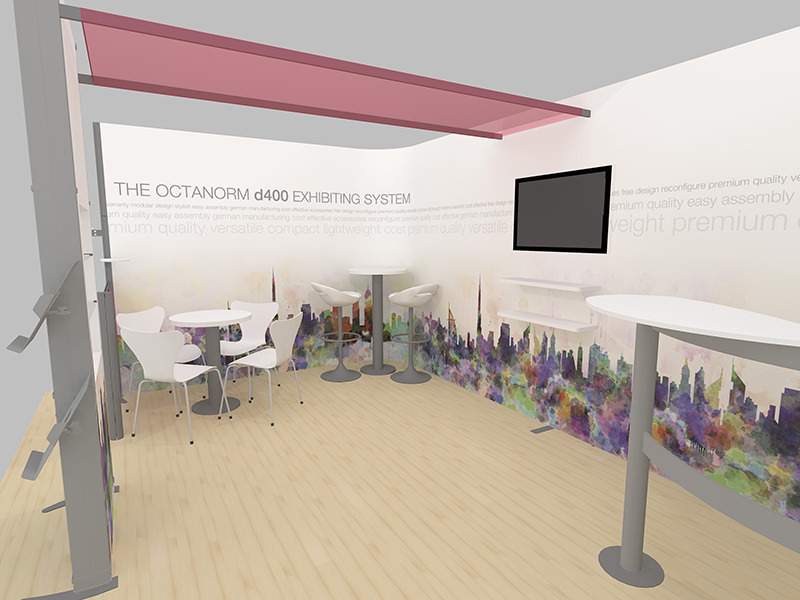 Octanorm Sweden, who designed and manufactured the d400 exhibition stand, loved them and even asked if they could use them in their own marketing campaigns, saying that they were the best they had seen in years! At GGS, a large part of our business is the provision of exhibition stands and equipment. 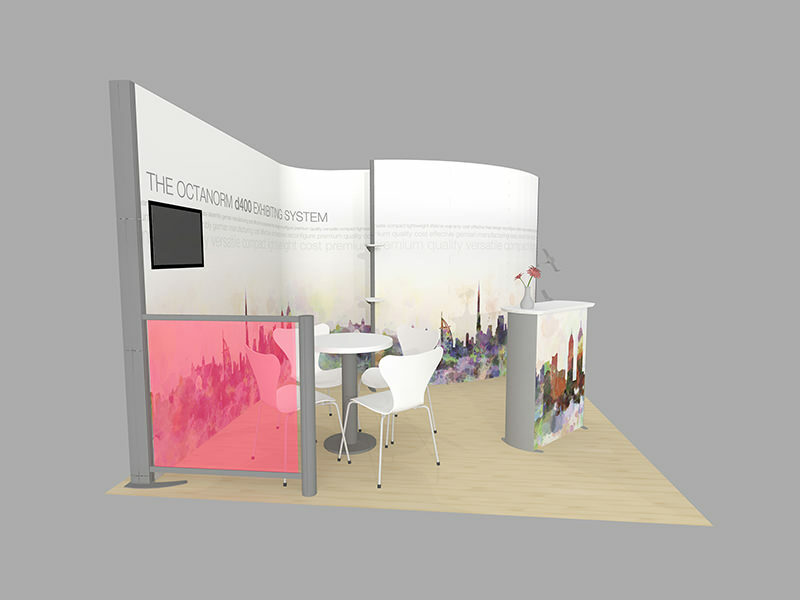 We order the materials from our UK based suppliers and partner Octanorm Display and then design, print and build the stands for our clients; offering the best stand solution to suit their needs. 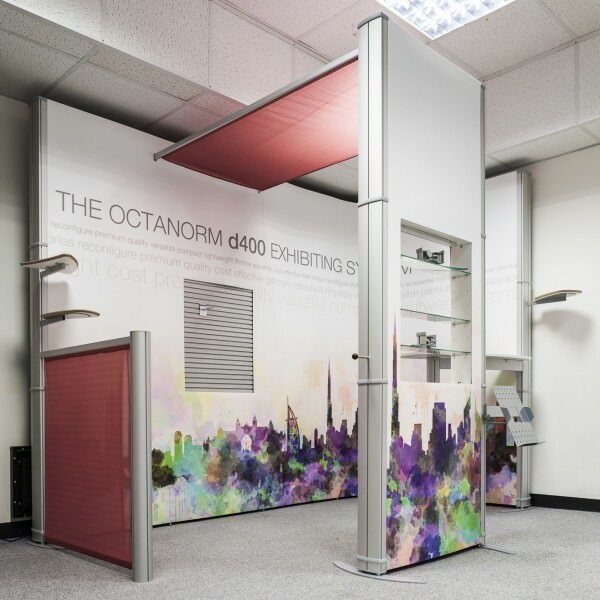 One of the most popular, stylish and flexible systems that we provide is the Octanorm d400 exhibition system. We felt that more emphasis should be made on this product and so decided that in order to show off the many variations of this type of exhibition system, we would introduce the d400 range onto our website and into our marketing materials. In a unique, GGS kinda’ way. 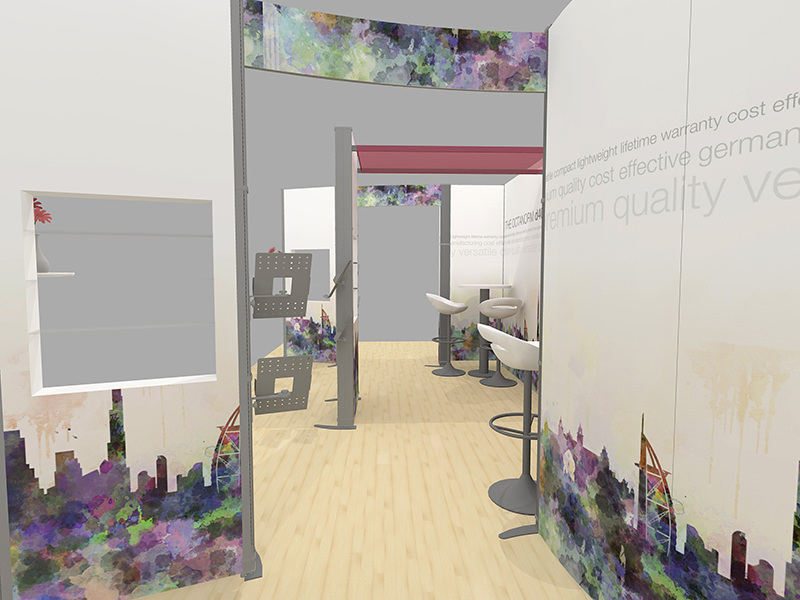 Rather than using the default images supplied by Octanorm, we mocked up a large range of different configurations of the stand using our 3D modelling software. We then had one of our designers create a simple and attractive graphic that would tie the range together. 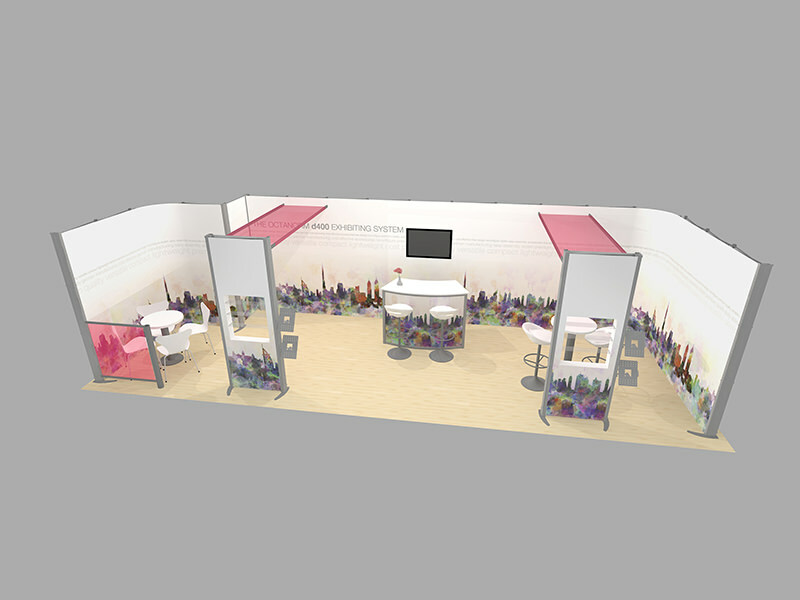 The images reveal that the exhibition stand can be built in various different configurations. By combining straight and curved d400 systems, the frames can be rearranged for future events and also be customised to fits our clients’ purposes exactly. The images show how furniture and accessories can also be used to further accentuate your presence at a show. 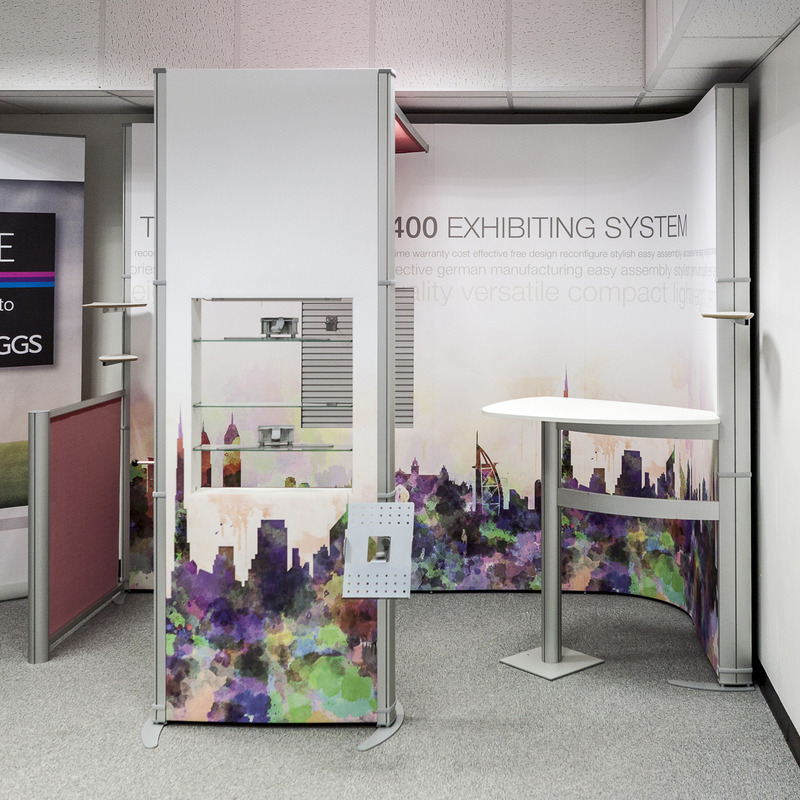 We now have a variation of the d400 stand displayed in our showroom at GGS HQ. Come and see it for yourself!